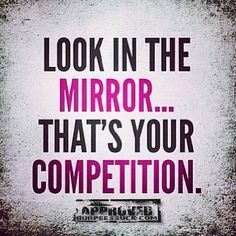 I recently came across this image and thought to myself, “How very true.” Really, think about it, and maybe I am taking it deeper than the message needs to be taken, but…You see there is not a bigger critic of you, then yourself. 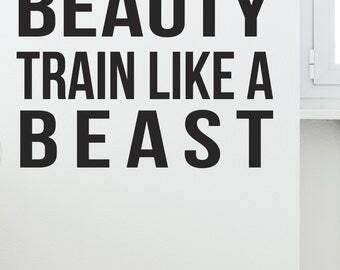 Which is why those of us who are hooked on fitness, and are leading a healthy lifestyle, choose to “Look like a beauty and train like a Beast.” It is that standard in which we set for ourselves that keep us highly motivated as long as we continue to compete and challenge ourselves. Like so many others, breast cancer is a very personal cause for me. It gives me the chance to make a difference and to honor those touched by breast cancer by raising funds for groundbreaking research, and services for people dealing with breast cancer. I believe that there will come a day where the pain caused by breast cancer is a thing of the past. And until it arrives, I’m walking to inspire hope to those facing the disease and raising money for the American Cancer Society’s Making Strides Against Breast Cancer event to help save lives from breast cancer. I hope you’ll consider signing up too. Two years ago, I lost my mentor and great friend Karen Olson to this terrible disease. Although most of us are acutely aware of how deadly this disease is and how many lives it claims yearly. The reality of its deadliness doesn’t seem to stick until it becomes personal. 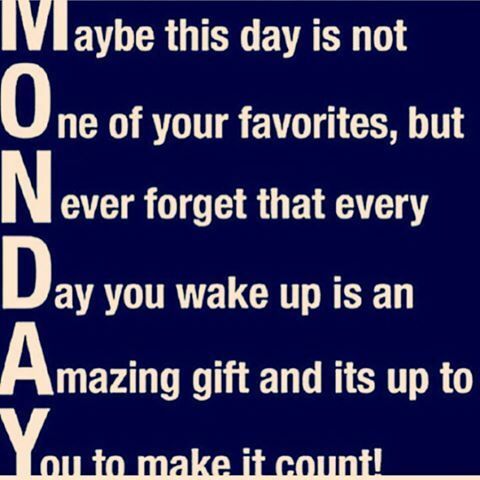 Keep in mind today, even when if things don’t go your way, that you are AWESOME! Rule the day! Did You Work On You Today! In my quest to be consistent, I am actually typing this post via my cell phone. What a way to get my practice in, using two fingers. LOL. So, how was your day? Mine was ok, other than getting my workout in, I feel that I was not as productive as I could have been. However, I will not beat myself up about it, instead, I will strive to do better tomorrow. Have you ever had one of those days when it seems as though the only thing u actually got accomplish was waking up and getting your workout in? I’ m not complaining though, I am actually thankful that I was able to carve out some time for myself, to do something that is vital for my health and important to me. I hope you did or at least still have it on your “To Do List” for this evening. Until tomorrow, here’s wishing you a peaceful, and exciting evening. Did You Know There Are 4 Different Types of Vegetarians? The most widely accepted definition of a vegetarian by fellow vegetarians is a person who eats no meat, fish, or poultry. 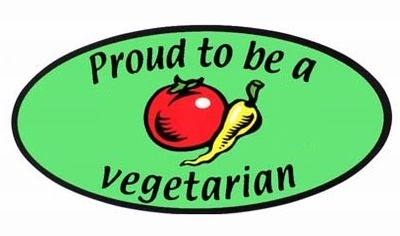 Primarily a vegetarian consistently avoids all flesh foods as well as byproducts of meat, fish, and poultry. However, vegetarian diets vary in the extent to which they exclude animal products. Semi-vegetarians are those who are cutting back on his or her intake of meat. A pollo vegetarian avoids red meat and fish but eats chicken, and a pesco pollo vegetarian avoids red meat but eats chicken and fish. Lacto-Ovo vegetarians diet excludes meat, fish, and poultry but includes dairy products and eggs. They eat such foods as cheese, ice cream, yogurt, milk, and eggs as well as foods that include these ingredients. Lacto vegetarians diet excludes meat, fish, and poultry, as well as eggs and any foods containing eggs, however, they eat dairy products such as milk, yogurt, and cheese. Vegans avoid eating or using all animal products, including meat, fish, poultry, eggs, dairy products, any foods containing by-products of these ingredients, including the use of wool, silk, leather, and any nonfood items made with animal byproducts. Some vegans even avoid money. Wednesday category, recipes for vegetarians and for those who just want to eat healthier. I hope you enjoy the new additions and now I’m off to search for the recipes, Lois. Are You Up For A Walking Challenge? For the next 14 days, it’s time to ratchet up your fitness level. Wherever you are on the fitness spectrum — beginner/intermediate or intermediate — it’s time to lace up those shoes and take some laps. This fitness plan is meant to be a shot in the arm or a quick jump-start. The plan is simple: For the next 14 days, you need to double-down on your steps. This two-week challenge is progressive, simple and short. Numbers are the name of the game for this challenge. You have one simple task: Walk more! Your daily goal will be to walk more than you did the day before. If you can find someone to do this with you, that would be an added boost. It’s always easier to have a friend or family member to hold you accountable and cheer you on. Where there is a will, there is always a way. Good luck! So you guys have been around the block a few times, so to speak. If you are currently averaging 5,000–6,000 steps per day, this group is perfect for you. Now is the time to step up your game — 750 extra steps each day to be exact, with the last day being an exception of 1,000 extra steps. The plan below starts with 5,000 steps. Your goal is to hit 15,000 steps, roughly 7.5 miles, by the end of the two weeks. After the two weeks are finished, you can attack another goal: the intermediate plan. You’ve built momentum; continue to push toward the next fitness goal.